An intensive weekend-long exploration of the feminist performance score through a number of modalities including reading, listening, watching, discussion, play and performance. An event departing from materials in the Her Noise Archive, lead by Cathy Lane, Holly Ingleton and Irene Revell, with funding from Creative Vouchers / AHRC this workshop was a collaboration between Electra and CRiSAP. The avant-garde score, deriving instruction for performance from the toss of a dice, the I Ching, a series of notes or a text, can be seen as a basis for 'free' composition based upon utopian and emancipatory ideals. While the sonic results of an open work could be appreciated as 'randomly generated', 'natural' or spontaneous, in fact the outcome may be tightly regulated by the specific political economy of the compositional structure. 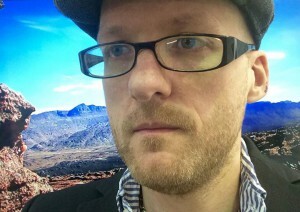 Mark Jackson, a curator and lecturer in Fine Art Critical Theory and Curatorial Practice at Northumbria University whose research interests span fine art, sound art and curating.